The awards and figures of the 9th edition of MyFrenchFilmFestival! The 9th edition of the first online French-language film festival has just ended. With 10 million views, the festival recorded its second best result since its creation. The Directors' Jury Prize was awarded to Diane Has the Right Shape by Fabien Gorgeart. In 2019, the festival racked up 10 million views throughout the world in more than 200 territories. 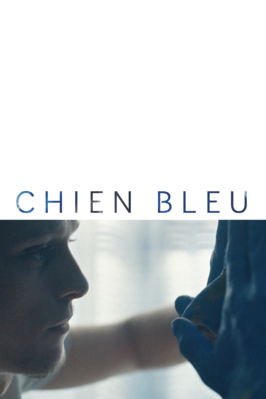 MyFrenchFilmFestival was also available on more than 50 notable partner platforms: worldwide platforms iTunes (in 97 territories), Google Play (32 territories), Amazon Instant Video, Dailymotion, YouTube, Facebook, Windows, Sony, MUBI, VRrOOm, and also Home Choice (South Korea), Filmin (Spain, Portugal, Mexico), Curzon Home Cinema (United Kingdom), MyMovies (Italy), Movistar+ (Spain), TriArt (Sweden), Proximus and UniversCiné (Belgium), VOD.lu and Post Telecom (Luxembourg), TV5 Monde Cinema on Demand, inDEMAND, Vubiquity, Vudu, Filmatique, Film Movement Plus, Kanopy (United States), Orange (Romania and Ivory Coast), IVI, Megogo and MegafonTV (Russia, CEI), Qubit.tv (Argentina), Cinepolis Klic and Morelia (Mexico), VOD.pl and TVP VoD (Poland), Aoyama, Videx, Precine, Uplink Cloud, VideoMarket, Gyao, Beauties, U-NEXT and Rakuten TV (Japan), CatchPlay (Taiwan), iFlix (Southeast Asia), PickUrFlick (India), etc. The winners were announced on Tuesday, February 19, 2019 in Paris. Isabelle Giordano (executive director of UniFrance) and Serge Toubiana (president of UniFrance) presented the different prizes. The film received a cash prize of €15,000 (€5,000 for the director, €5,000 for the producer, and €5,000 for the sales agent). The 4 prizewinning films will be presented on board Air France aircraft over a 6 month period, beginning in summer. Beyond the MyFrenchFilmFestival.com platform and its partner platforms, the festival offered people the opportunity, in many places throughout the world, to watch films together and thereby enjoy as a group the best of new generation French and French-language cinema! Thanks to a partnership established with the AEFE, screenings took place in a dozen schools around the world, like those in Ottawa, Algiers, Mexico, and Los Angeles. 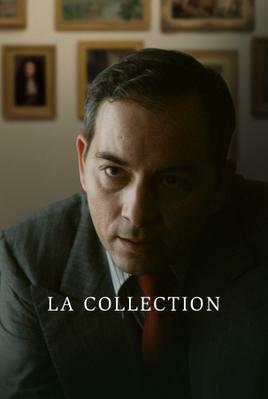 Added to which, thanks to support from the Instituts Français network, films of the selection were exhibited on the big screen in Russia, Brazil, South Africa, and Japan. Several thousand people participated in the game contest on the MyFrenchFilmFestival Facebook page. Thanks to this new photo challenge, festival audiences could show their imagination and vie for the prize of a trip to Paris and 3 nights in a 5-star hotel for two people, thanks to support from Air France and the Hôtel du Collectionneur. At the end of this article, you can find a selection of photos posted by internet users. For the second consecutive year, the festival's playlist, produced in collaboration with the Bureau Export (the organization in charge of the development of French music internationally), is still available on several broadcast channels.